Vancouver based start-up SKIO Music is creating opportunities for artists and producers to launch their careers, and you just might want to check them out! If you haven’t heard of them yet, SKIO gives creators the ability to quickly license premium content from labels and rights owners, and by hosting a variety of contests to discover new talent, the platform has already accelerated the growth of countless rising producers. 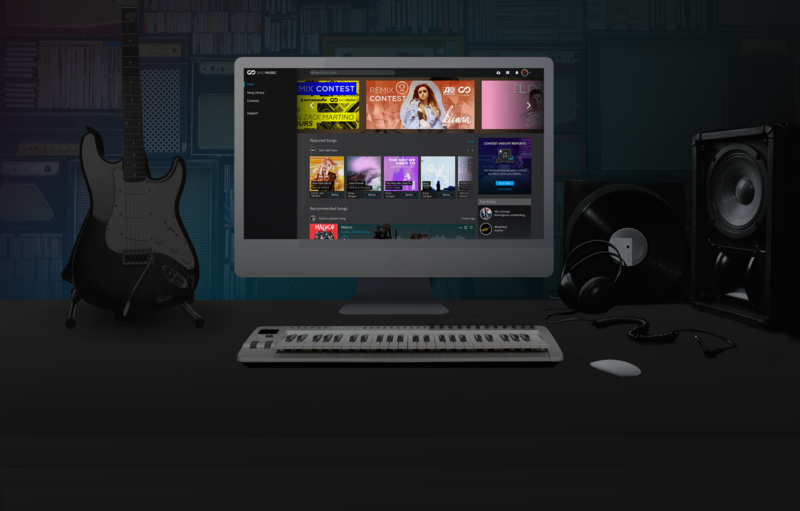 Additionally, their new subscription service ‘Insight Reports’, offers critical feedback and powerful analytics to help creators hone their skills and earn the recognition their music deserves. With over 250,000 creators already on the platform, the SKIO team is proud to help producers receive official releases with both major and independent record labels, music festival bookings and fruitful collaborations. In fact, several remixes and songs that resulted from SKIO contests and collabs are currently racking up millions of streams on Spotify! Producers, musicians, vocalists, and songwriters who are serious about advancing their career should definitely check out the opportunities SKIO has to offer. For example three producers just dropped official releases with dance label Armada Music as a result of winning the Borgeous & Zack Martino – “Make Me Yours” Remix Contest (listen to them here). Besides winning releases, SKIO is also giving creators huge gig opportunities that have taken some of their users around the world, like helping send contest winner ColtCutz to Costa Rica for a milestone DJ Set at Bamboo Bass Festival in partnership with Sleeveless Records. Fighting to get recognition in the cut-throat music industry is a familiar situation for most aspiring artists, so when community member TRU Concept received over 10 million Spotify streams for his remix of LAUV’s “I Like Me Better”, the SKIO team offered him a chance to host contest of his own. A unique aspect of SKIO is their genuine effort to discover and reward new talent, giving as much credit where it’s due. With a couple of clicks, music producers can freely remix beloved artists, collaborate amongst each other and further their music careers, legally. The company regularly partners with artists like Slushii, Borgore, Owl City, Clean Bandit and Matoma for remix contests, and they usually offer prizes that include signing tracks for official release, promotion to millions of listeners, Genelec studio monitors, music scholarships from Producer Dojo, killer plugins from Digital Slate, LANDR memberships and more. Click HERE to check out SKIO’s current remix contests.